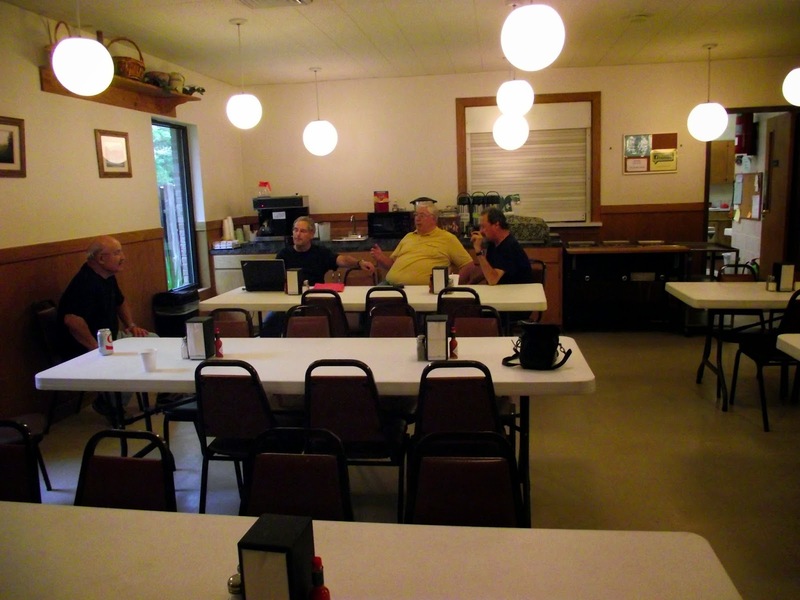 Uncle Rod's Astro Blog: When is a Star Party Not a Star Party? When is a Star Party Not a Star Party? The answer is “never.” As I’ve said before, I can have a good time at a star party even if I don’t see a darned thing. What are the elements that make that “good time” possible rain or shine? Good friends and good facilities. Sure, even after decades of star partying, I still long for good skies at my favorite events, but the more I think about it, the more I've come to believe that is secondary to my first two requirements. Or so I tried to tell myself last Wednesday, the day before the start of the 2015 Deep South Regional Star Gaze Spring Scrimmage, the springtime edition of my fave local event. 2013 was my first Scrimmage. Previously, my engineering job kept me away from the smaller, springtime DSRSG. I had such a wonderful time in ‘13 despite getting only one and a half clear nights that I did it again in 2014 and was looking forward to 2015. Unfortunately, as the date for this year’s Scrimmage, April 16th, approached, I began to think the event was cursed this year. That began with my visit to the mailbox one afternoon a few weeks ago. I was hoping to find the latest issue of Sky & Telescope or at least a care package from MyComicShop, but what turned up amidst the usual ration of junk mail was a little white envelope. Rut-roh. I was pretty sure what it was without even looking at it: Jury Summons. I was expecting that. The last time I was called was in 1985, just after I moved to Mississippi (temporarily) when I began my engineering career with the Navy. All it took then was a call to the court to tell ‘em I was no longer an Alabama resident and that was that. After moving back to Mobile, I thought I’d be called, but I never heard another peep out of the judicial system. I was expecting a Jury Summons now both because it had been so long since I’d got one and because things had changed with me. My situation had been remarkably stable since 1994. Same address. Same phone number. Same voting place, etc., etc., etc. Then we moved out to the suburbs last spring and everything changed—address, driver’s license, voting place. I had the suspicion one of those things would flip a switch somewhere sending a summons my way. Not that I have a problem with doing jury duty. I believe serving on a jury is a civic duty at least as important as voting, which I try to do every single election. Maybe jury duty is even more important. But why, for God’s sake, did it have to be for the week of the Scrimmage? I had to report on Monday the 13th, and while the star party wouldn’t begin till Thursday (it’s two days shorter than the autumn event), that didn't give me much time to serve on a jury trying a case. I did ring the number on the summons to see if I could possibly reschedule, but the person on the other end gave a big “uh-uh.” I’d have to report on the appointed Monday and talk about rescheduling in person. Monday morning 13 April, I headed downtown, parking in the Civic Center lot and walking to the big Civic Plaza. In the lobby, I got my first indication there’d be a lot of hurry up and wait involved in the proceedings. 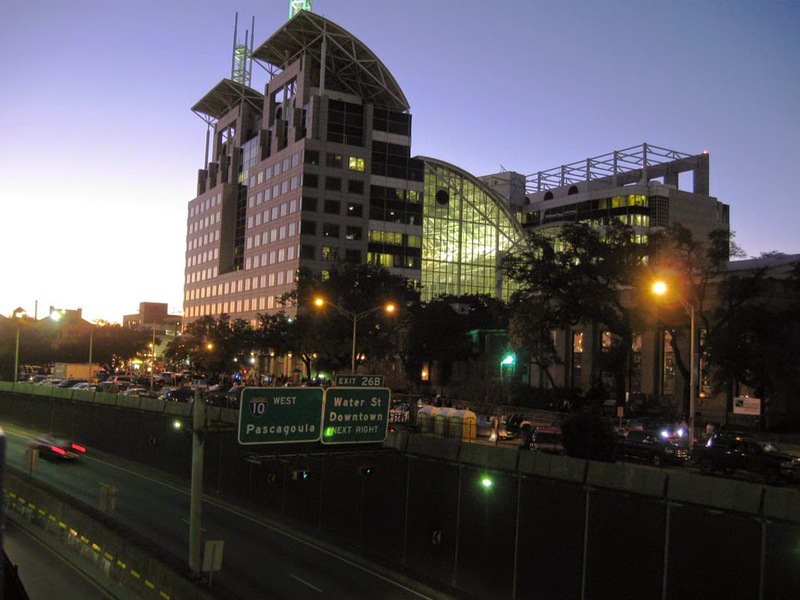 The summons was for 7:45, but what that actually meant was that you’d mill around in the lobby, which had no place to sit or any other amenities, not even restrooms, until the metal detectors guarding the elevators that would take you to the assembly room on the 8th floor began operation at 7:45. 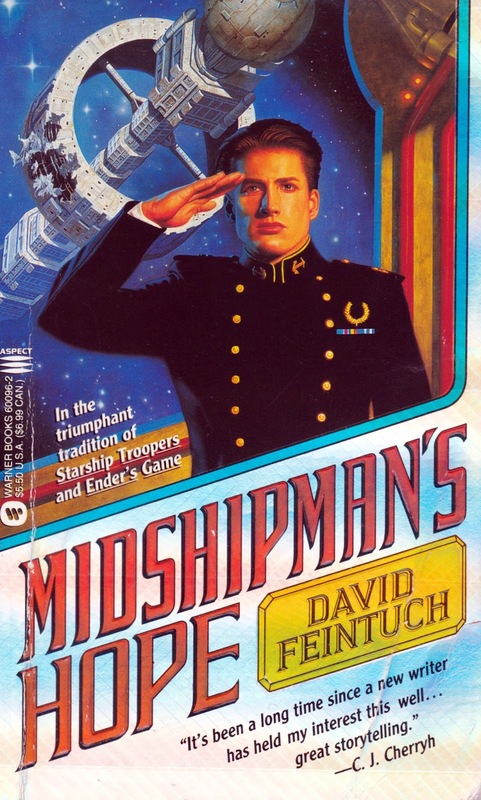 Up there, I sat myself down in the big room, on one of the most uncomfortable folding chairs it’s ever been my misfortune to encounter, and pulled out the book I’d been smart enough to bring along, a fat one, David Feintuch's Midshipman’s Hope (recommended). Quite a lot of time passed before anything happened. Finally the Judge came in, a nice chap, and we got underway. First order of business was the Judge hearing the whining of the people who wanted to be excused or at least rescheduled. A long line formed immediately, but I was not in it. His Honor made clear that if you were excused you would be called again. Soon. I had a busy summer coming, so I decided it would be best to just get this over with. While I believe serving on a jury is a civic duty, it wouldn't hurt my feelings not to get selected for an actual jury. Especially for Grand Jury duty, which would consume two full weeks. I dodged that bullet and was put on Panel Seven of the fourteen Panels of the Petit Jury pool. I figured that could go either way. I might get selected, but if there weren't many trials at the moment, it was likely I would skate. At 11 a.m., we were dismissed for the day. Next morning things were much the same except I didn't have to be in the assembly room (a different one, one lacking snack and drink machines nearby) till nine. There, absolutely nothing happened in our area, which was reserved for Panels 6 and higher. At 11 a.m. we were once again set free. Back at the New Manse, I discussed plans with Dorothy. I decided that if I got let off on Thursday by 11, I’d head for the star party. If things went into Friday or even late Thursday, I’d declare the 2015 Scrimmage a scrub. Frankly, given the weather, it didn't look like it would much matter anyhow. The weather was the big problem. Sure, there’s always a chance of a rain-out for a spring event down here, but until the previous week it had actually been looking as good as it ever does for observing in April. I didn't think we’d get three full nights, but was convinced we’d get two. The rain that had been deviling us would begin to move out Thursday, and I thought Friday would be assured. That’s what I thought, until the front came to a screeching halt. The clouds just sat overhead and dumped rain on us day after day with barely a pause. Wednesday found me back in my assigned place, Panel Seven, Chair One. I had just about finished Midshipman’s Hope when the young woman in charge of us announced, “I have your checks and certificates; when I call your name, come up and get them and you can go.” I should have been pleased, I guess, but frankly it all seemed a little anti-climactic. And the rain was falling harder than ever, anyway. On the way home, I stopped at Wal-Mart. Despite the weather, I had decided I would indeed make the three hour journey to the Feliciana Retreat Center as planned. I’d already paid, and, as is normal and necessary for star parties, there could be no refunds. I’d hang out with old friends, eat the Center’s good food, grouse about the weatherman, and watch movies. To that end, I thought I’d better pick up one more DVD. My tastes in films don't always coincide with those of my fellow partiers, and I kinda like sitting up late on a rainy night in my room watching a flick on my laptop anyway. I was in luck. 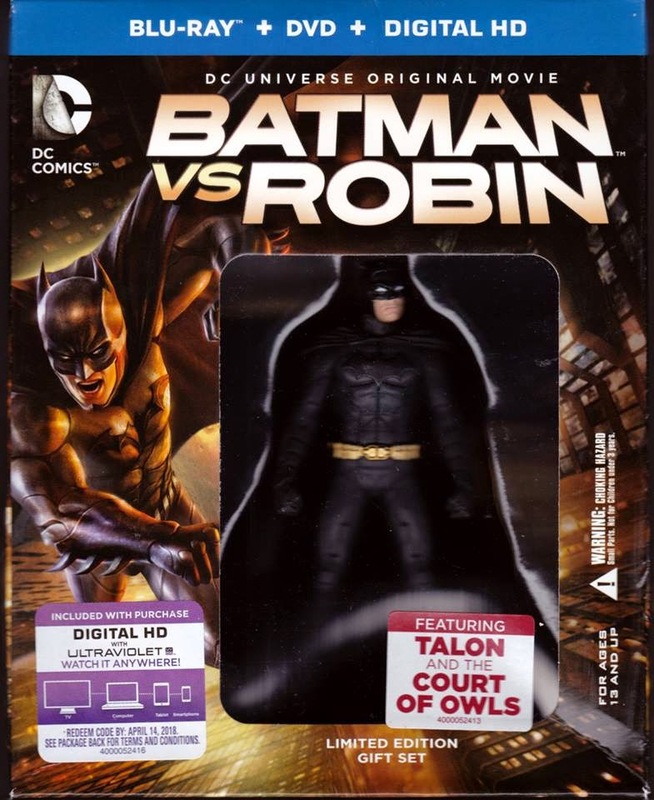 Wally-world had just the flick I was looking for, the new animated Batman vs. Robin. 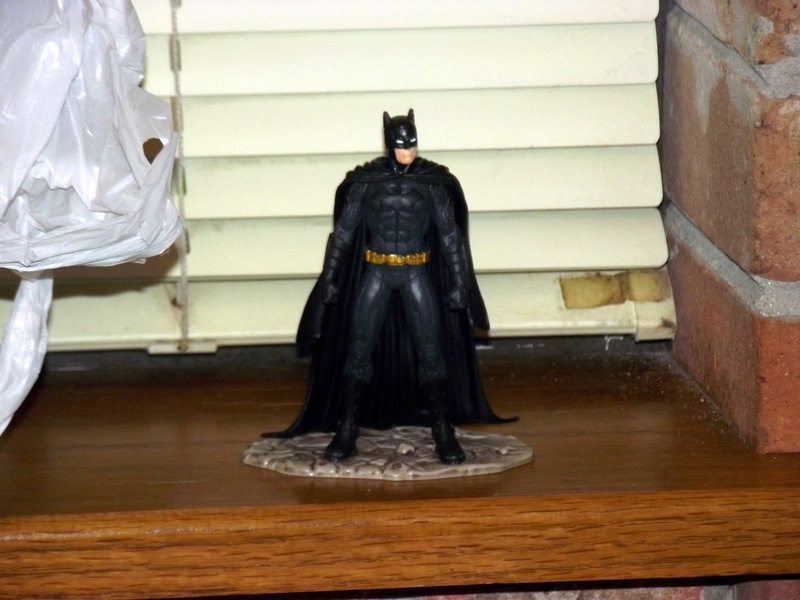 They even had the deluxe edition that included a Blu Ray disk, a regular DVD, the digital edition, AND a nice figure of the Batman himself. I thought I’d take The Dark Knight to the star party with me as my mascot. Maybe he’d be good luck and would bring us a dark (and clear) night. Back home, I added the disk to my stack, which included Season Two of Star Wars: Clone Wars and a recent acquisition, the 1990s Flash TV series. Time to start packing the 4Runner, then. I’d marshaled the gear in the Sun Room on Monday, so there wasn't much work to do, really. Oh, there was one thing: swapping out telescopes. Given the conditions, I dropped back from the C11 and CGEM to my VX and Edge 800. Might as well travel a little lighter, and if by some strange circumstance we got some time under the stars, I knew the Edge, Mrs. Peel, would do a heck of a job. I left the Mallincam in the queue, but added the box of good eyepieces to it. I believed if we got anything, it would be through sucker holes, and visual would best for that. Plus, I seem to find myself moving back to visual astronomy lately and in the mood to take a break from the imaging jag I've been on for a record five years. Before loading up, I went through the pile of astro-stuff eliminating a few other items I thought would be unnecessary. It was unlikely I’d spend much time of the field, for example, so the ice chest I normally keep under the EZ Up wouldn't be required. 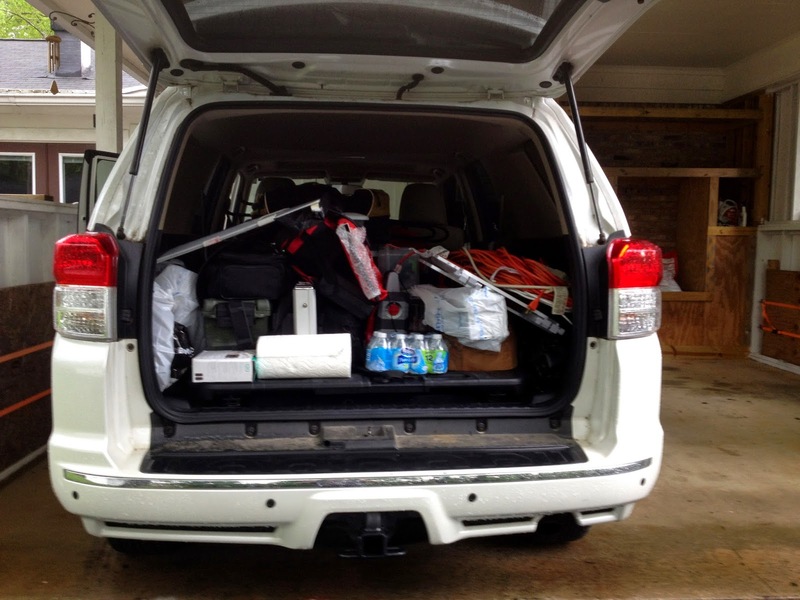 In half an hour, the Toyota, Miss Van Pelt, was packed, a record of late. Me? I felt good. I’d have felt even better if I thought I might actually get to see something with the C8, but all-in-all I was happier about the expedition than I had been about February’s somewhat misbegotten Chiefland trip. Yes, I was still going through the changes I touched on then, but I did feel up for, and even enthusiastic about, the Spring Scrimmage. Wednesday evening was spent watching Disk One of Clone Wars. I hadn't seen the episodes since they were first broadcast, and was just blown away by how good this animated series was. If the new Star Wars animated series, Star Wars Rebels, which has just finished its first season, can maintain its similar level of quality, it is going to be another great ride, but it’s difficult to believe it can hit the heights attained by Clone Wars. I made it a reasonably early night, but not too early. What I was hearing via email was that nobody would be on-site till about 1 pm. I thought a departure time of 9:30 a.m. would be good. So, Thursday morning, but not early Thursday morning, I headed west and into the wilds of northern Louisiana, just over the Mississippi state line, to the Feliciana Retreat Center, which is located near the small towns of Clinton and Norwood, Louisiana. How dark is that part of the state? Quite dark. At least as dark as Chiefland, Florida. As it should be. There isn't much there. To includes motels, convenience stores, and restaurants. When you do Deep South, you are pretty much limited to what is at the Feliciana Retreat Center. But that is A-OK. The trip over I-10, I-12, and I-55 was utterly uneventful. I made a couple of rest stops (too much coffee; I’d been able to hang out at home later than usual and sucked plenty down). Amazingly –and depressingly—while it was completely overcast the whole way, I didn't run into heavy rain till I got off I-55 and neared the Center. Then it began to rain. A lot. 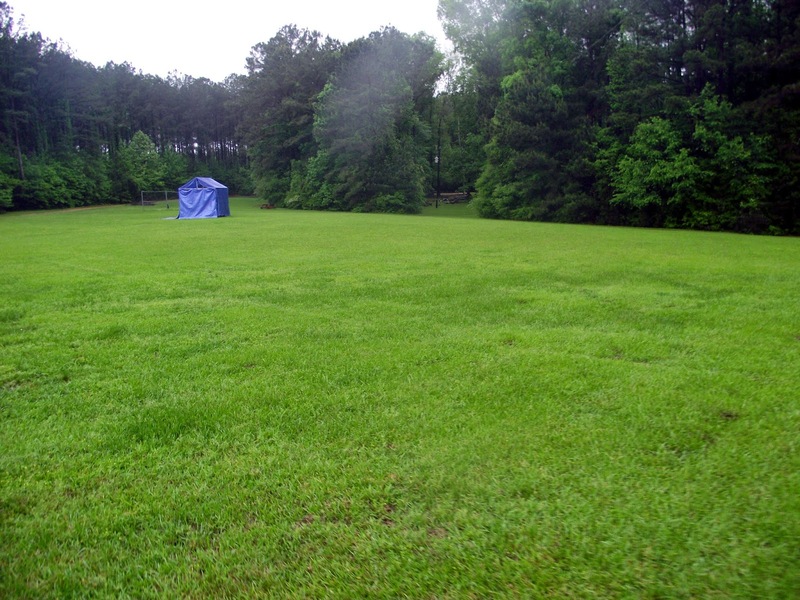 Rolling onto the grounds of the FRC, I passed the observing field by without even slowing down. There was simply no reason to. One hopeful soul had parked his popup camper on the east side, but hadn't set it up. I continued on to the Lodge. Other than the expansive observing field, the Lodge is what makes the Feliciana Retreat Center such a gem. It’s like a miniature motel with a beautiful dining hall overlooking a lake and plenty of small but reasonably nice (recently remodeled) motel rooms. There’s heat and air conditioning throughout, and even wi-fi Internet. I grabbed my suitcase and umbrella, dashed inside getting half wet in the process, and found my old friends Barry (Deep South’s Managing Director), Ron, and Frank kibitzing in the west corridor. They were of the same mind I was: if we saw anything on any of the nights it would a miracle. Likely all we’d observe would be the undersides of clouds, but, like me, everybody was in a good mood and determined to have a good time. I dropped off my suitcase and laptop in my assigned room, West Nine, and returned to the Toyota for a small camp table I sometimes set up under the EZ Up canopy. Like last fall, there was no desk and chair in my room, just a TV tray-table with a lamp on it. I was prepared for that with the camp table for the PC and speakers. A visit to one of the unoccupied rooms on the West side turned up a chair, too. I got the Toshiba laptop set up and gave the Internet a try. Nope. There was a little bit of a signal, but not enough to connect. I moved the laptop to the dining room, however, and found a strong and reasonably fast Internet connection. I’d do my web surfing and Facebooking in the dining area and my movie watching back in the room. It was a couple of hours before supper, which, I’d been informed by one of the center’s nice staff members (bunch of new faces this time), was fish, catfish, which sounded OK. Till then? How about a little reading? 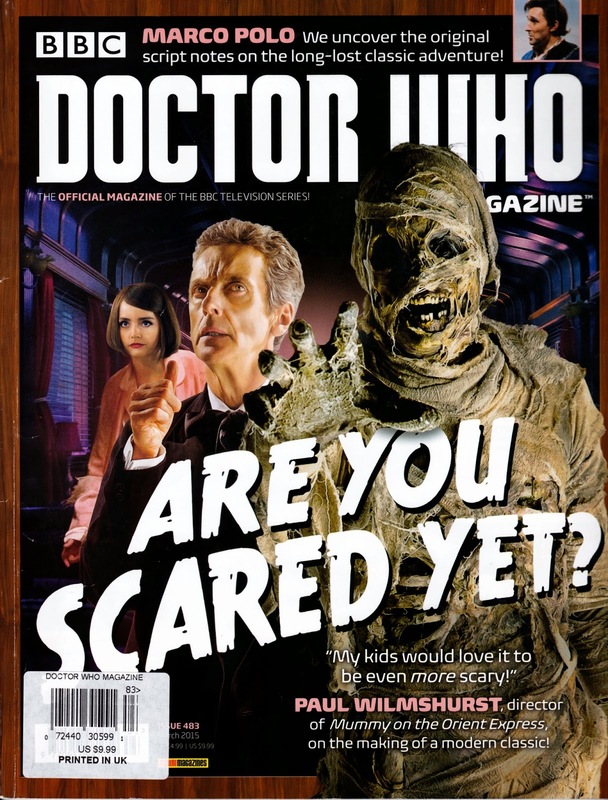 I had a couple of books with me, but thought I’d go lighter with the somewhat zany but always interesting BBC Doctor Who Magazine I’d snagged at Books-a-Million as part of my star party preparations. Which allowed me to spend a pleasant hour before it was time to eat. The food was back to its usual impressive level after being on the not-so-hot side last fall. The fried catfish really was good and the portions large. I confined myself to a couple of fillets and a salad from the salad bar, but there was potato salad and other sides for those who wanted such things. With only 8 of us present, there was plenty of fish left over, and the staff boxed it up and put it in the refrigerator for midnight snacking in case somebody got hungry after a long observing run (yeah, right). After the meal, I finished my magazine while occasionally poking my head out the front door to see what Ma Nature was up to. I was pelted by raindrops every time. The lower the Sun got, the harder the rain fell, darnit. Still, this is Rod we are talking about, and, as you know, his hopes always spring eternal. I am a glass half full kinda guy, even if I sometimes have to make myself see the glass that way by force of will. I decided I’d grab my umbrella and take a walk out to the field. I wanted to ascertain whether it would be practical to set up gear in the unlikely event we had some clearing, or whether the field was under inches of water. My reconnaissance revealed that if the rain did somehow, some way stop, we’d be good to go. The field wasn't that wet; the water was draining off down the gentle slope to the west. The grass, which was decently short, had obviously been cut not long ago and wouldn't be a problem. The only problem was the clouds. Reluctant to go back to the Lodge where the handwriting would probably be on the wall as far as weather reports, I hiked down to the Center’s auditorium building, Barton Hall. Nice and well maintained as always, though the wooden sides were turning green with mold in the unrelenting damp weather. I felt a little sad standing there in the building. We use Barton for dealers as well as presentations in the fall, and the last dealer we had onsite was the late Jeff Goldstein of Astro-Gizmos. The good news? I understand from Barry that the family intends to carry on his business. That will make a lot of people happy. It was always great to be able to buy the little but necessary items from ‘Gizmos when you were at one of the many events Jeff attended—batteries, flashlights, red filters for computers. I am much more likely to buy that sort of thing at a star party than a freaking Ethos eyepiece. At the Lodge, I hung with my homies for a while, but, come sundown, it was movietime. The gang assembled in front of the center’s big screen TV to watch Catch 22. I thought that might be a bit much for me at present, however, and repaired to my room to continue the adventures of Obi Wan, Anakin, and Ahsoka, which I carried on with until somewhat after eleven, when my eyelids became heavy. One last check of the sky (worse than ever) and it was nighty-night. Friday dawned, not unexpectedly, to more clouds and more rain. I was up early, very early, since I’d certainly not pulled the all-nighter I’d hoped and planned to pull Thursday night. In the dining hall with my laptop, I spent the hours before breakfast getting caught up on the doings on Facebook, such as they were, and seeing who was complaining about what on the Cloudy Nights Astro BBS. Breakfast was eggs and bacon, and was, again, up to the FRC’s old standards. Barry indicated he was considering pulling up stakes at four, right after supper. I allowed that I might do the same thing. A little more thought and I announced I’d probably leave at noon. What? I was gonna leave and miss the prize drawing, for a 5-inch Explore Scientific achromat? “Yes,” I said. We’d won the scope’s 4-inch sister at the 2013 Deep South (the fall edition), and I really didn't need the five. I’d probably pass on the scope if I won. Which led to another interesting gear conversation centering on achromats, their focal ratios, and the dreaded color purple. Leaving turned out to have been a wise decision. The rains soon came again, torrential ones, and it was good that I was able to negotiate the waterlogged Interstates in full daylight. I didn't hurry, but still made it home by 12:30. I didn't just sit and watch the rain fall at home when I got there, either. Dorothy and I instead did that at Buffalo Wild Wings, where I enjoyed some HOT wings (Wild sauce) and a couple of draft Michelob Ultras. Forgot to mention that I swapped my 10" dob for a C8 after reading your book on SCT's. I love how easy I can now move my BIG scope (have the OTA mounted on an Orion VersaGo III). One of the reasons was also moving from a townhouse in Australia to an apartment on the second floor in LA with a shared carport. I am still amazed at how close the C8 is to the 10" in terms of light throughput (had them both side by side for comparison on DSO's) that I don't really miss my 10" anymore! I also swear by your Urban Astronomers Guide and recommended to two other friends! Hey Rod, just came across your blog when I saw you were reading Midshipman's Hope. I'm spreading the word that my production company is currently working on the film adaptation of that very book. Just wanted to let you know! There's plenty of Seafort fans floating around, but I doubt anyone thought it might get a movie. Wow, Chris, that is GREAT NEWS!